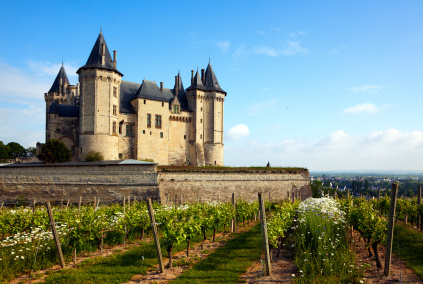 Château de Saumur and vineyards, Pays de la Loire. The Pays de la Loire is an administrative French region made up of the historical provinces of Maine, Anjou, part of Brittany (Nantes), part of Poitou (Vendée), part of Perche (Sarthe) and a small part of Touraine. It is the 5th most populous region of France (3.5 million inhabitants), the 6th largest and the 9th wealthiest (GDP per capita). The Muscadet, Saumur, Savennières wines are produced in this region. Cointreau, the renowned brand of triple sec (orange-flavoured liqueur) is produced in Saint-Barthélemy-d'Anjou. LU (Lefèvre-Utile), France's most famous biscuit manufacturer (which products include Petit Beurre, Prince, Pim's, Cent Wafers, and Mikado) was founded in Nantes in 1846. 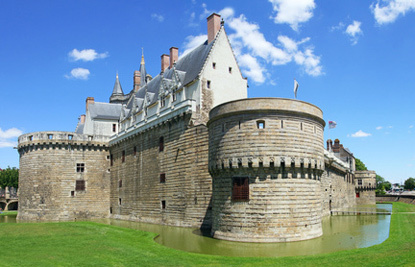 Famous people from the Pays de la Loire include (chronologically): Napoleon's Minister of Police Joseph Fouché, WWI Prime Minister Georges Clemenceau, novelist Jules Verne, painter Henri Rousseau, Nobel Peace Prize-winning Prime Minister Aristide Briand, fashion designer Coco Chanel, and Prime Minister Jean-Marc Ayrault. Culturally and historically part of Brittany, Nantes is the largest city in Northwest France. 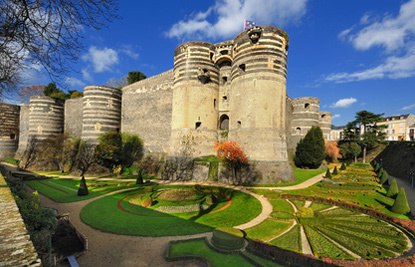 Angers was the capital of the old province of Anjou and the centre of the Plantagenet dynasty. It is renowned for its colossal 13th-century castle.